Seattle, with its 620,778 residents (metropolitan area has around 4 million inhabitants), is the largest city on the West Coast, north of San Francisco. The picturesque location, between Lake Washington and Puget Sound, is widely regarded as one of the most beautifully situated cities in the United States. Today it is also one of the most modern cities in the U.S. with a major seaport and airport, as well as the central business district with numerous skyscrapers. It is a place where headquarters of many international companies are located (e.g. Boeing and Microsoft). In our opinion, Seattle is a great place for dating. Below you can find some useful information and locations that will help you to plan your dream date. 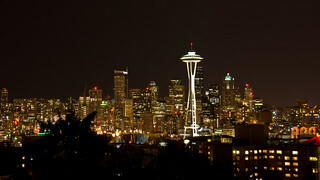 One of the most recognizable elements of the panorama of the city is certainly the icon of the city – the Space Needle. This is the TV mast and a vantage point from which the breathtaking view of the city can be admired. There is also an excellent SkyCity restaurant widely known for its delicious food. It is a very fashionable place, so if you plan to dine there you should make a reservation in advance. Another well-known point of panorama is the tallest building in the city – Columbia Center from where you can also enjoy the beautiful view of the city. Worthy of note is the fact that access to this observation deck is much cheaper than previously mentioned SkyCity, and the view from this place is no less amazing. But that's not all vantage points of the city. If you would like to see the skyline from a different point of view, you should visit observation deck located at Smith Tower – the oldest skyscraper in the city. Dating in Seattle for sure will be enjoyable especially for lovers of history and sightseeing. The oldest part of the town is the Pioneer Square. While walking its streets you can admire the houses built of red brick and distinctive taverns. During your visit in a city you cannot miss Pike Place Market – a century-old, still-functioning market. However the real gem that impresses the tourists is an amazing underground city resulting from the settlement of buildings. Strolling through the streets of Seattle we are often on the level of the second floor, and in some of the buildings basements you can see windows of shops that were functioning a long time ago. Plenty of interesting venues are also located here. 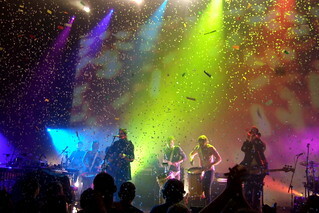 Seattle is a city with a rich music history, a city that has left its mark on modern music. It is a place where Jimi Hendrix was born. 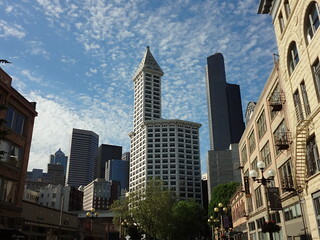 The city is considered as the capital of grunge (often referred to as the "Seattle sound"). Bands like Nirvana, Soundgarden, and Alice in Chains were established here. In Seattle started off such jazz stars like Ray Charles, Quincy Jones, Ernestine Anderson, just to name a few. If you are a jazz fan you should definitively visit one of the many clubs playing this type of music. We can recommend you a visit at Dimitriou's Jazz Alley or Lucid. Fans of classical music should head to Benaroya Hall, where concerts of a century-old Seattle Symphony Orchestra are being performed. Second highly recommended venue is the McCaw Hall, formerly known as the Seattle Opera House, famous for performances of Seattle Opera and Pacific Northwest Ballet. Additionally Seattle is a place that can boast of many theaters with its historic 5th Avenue Theatre on the lead, which continues to stage Broadway quality musical performances. In the city there are located about twenty live theater venues and several public venues that present readings (for example Town Hall on First Hill). Singles who prefer party lifestyle certainly will not be disappointed with Seattle. The city is teeming with life even at night. For those who want to have fun we suggest a visit to the Noc Noc, Alibi Room, or Re-Bar. While in Seattle you shouldn't miss a visit to the Seattle Art Museum, with its stunning contemporary art exhibits, and The Museum of Flight Aviation History located in the former headquarters of Boeing. Dating in Seattle can be fun and full of good surprises.